It is a condition that by using this site you are deemed to have agreed and accepted in full the terms and conditions of use. 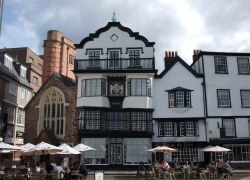 ExeterViews.co.uk reserves the right to make changes (includes deletions and additions) without notice to these terms and conditions at any time whether the changes are in part or full. You should check and review the terms and conditions upon return to the ExeterViews.co.uk web site and each time henceforth. By using the site you have accepted in full the terms and conditions if not you should discontinue and not use the site. 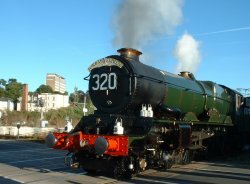 The information on the accommodation pages has been supplied in good faith by each of the accommodation providers / third party accommodation services featured. Every effort has been made so that the information on this page is as far as possible accurate and correct at time of publication. However, we recommend you contact and confirm all details with the accommodation providers. Any classifications shown should be regarded as general guidelines only due to inconsistent valuation procedures in different countries. Due to possible changes occurring, the accuracy of event information and dates submitted by third parties to be featured within the what's on calendar page or any other area of the ExeterViews.co.uk web site - It is recommended that you confirm full details of the listing with the organising party / parties concerned. Every effort has been made so that the information on this site is as far as possible accurate and correct at time of publication. However, the information is by no means comprehensive and ExeterViews.co.uk cannot be held responsible for any inaccuracy's, errors or omissions. ExeterViews.co.uk web-site disclaims any warranty or likeness implied within, consequently you the reader takes full responsibility for any information used from this web site. You must also agree and accept by reading these pages that any one connected to this site is not responsible or liable for any loss what so ever. ExeterViews.co.uk takes no responsibility for the web-sites that are linked to, from within this site. 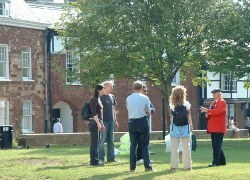 Similarly a link to another site does not mean that ExeterViews.co.uk endorses the web-site or its content. You are solely responsible for evaluating any goods or services offered by third parties via the or through the ExeterViews.co.uk web-site. ExeterViews.co.uk will not be a party to or in any way responsible for any transactions between you and third parties. Any personal information you may wish to disclose to third parties is at your own risk. All images, photographs and text are copyrighted and all rights reserved.